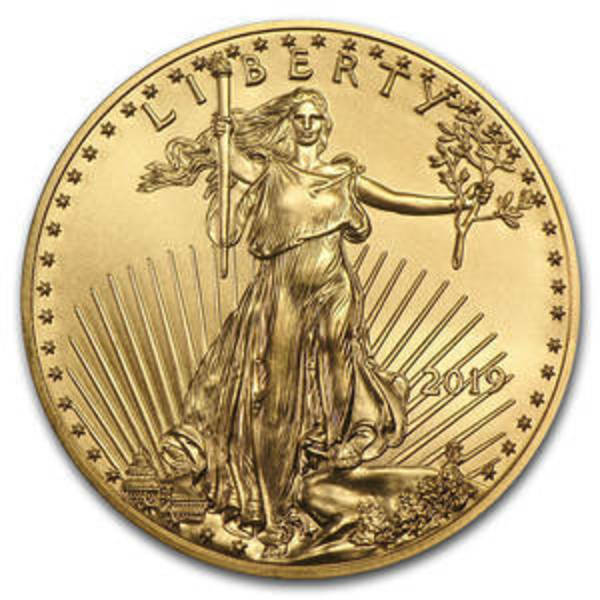 Compare the best online dealer prices before you buy 1/4 oz Gold American Eagle coins. 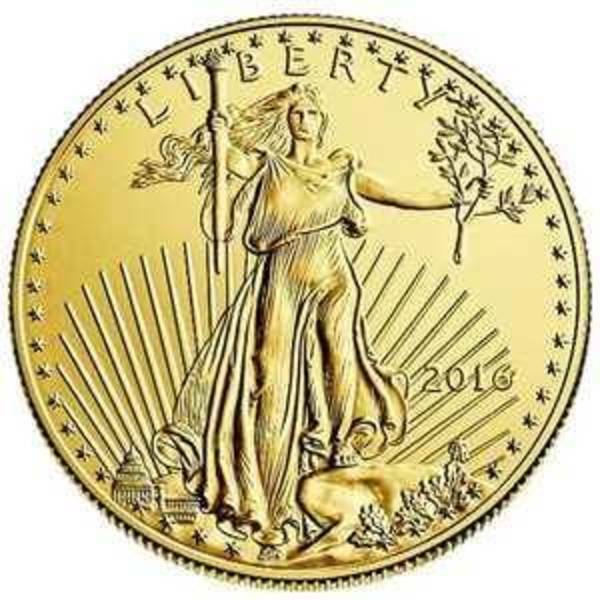 The 1/4 oz Gold American Eagle coin contains .25 troy ounces of gold bullion. The melt value of one 1/4 oz Gold American Eagle coin is $319.45 based on the current gold spot price. The average price for 1/4 oz Gold American Eagle for the past 7 days is $294.83. 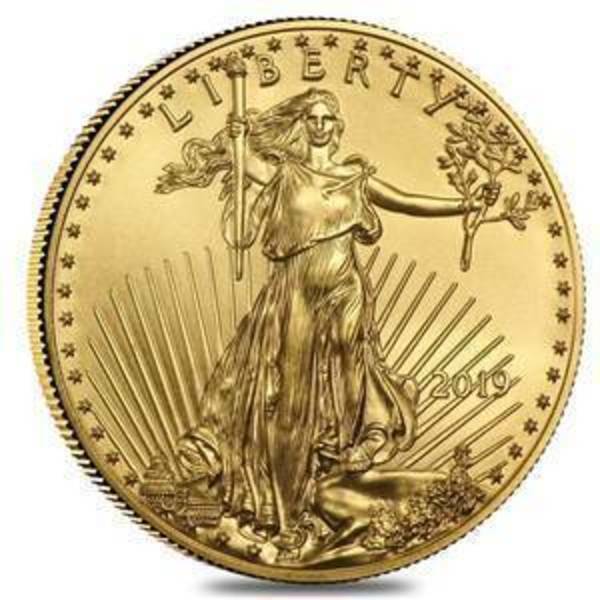 The 1/4 oz American Gold Eagle is among the most popular gold bullion coin in the United States. In 1986, the United States Mint introduced the American Gold Eagle series, minted in four sizes (1 oz, ½ oz, ¼ oz and 1/10 oz). From 1986 through 1991 the US Mint dated the coins using Roman Numerals. From 1992 through the present traditional Arabic Numerals are featured. On the front of the coin is a depiction of Liberty taken from the famous $20 gold piece (1907-1933) designed by Augustus Saint-Gaudens. The back features a family of eagles and includes United States of America, E Pluribus Unum (from many, one). It also features In God We Trust, weight (one-quarter oz fine gold) and legal tender value ($10). The US Mint produces quantities of the 1/4 oz American Gold Eagle in sparkling mint condition to ensure it will remain a leader in the gold bullion market. 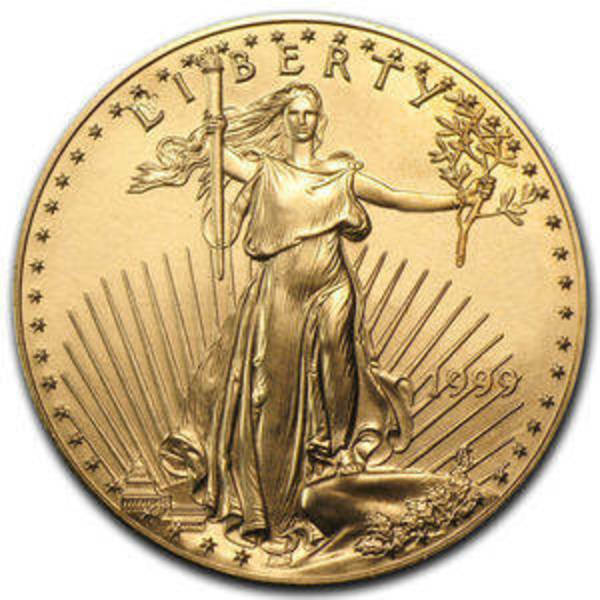 The legal tender value is symbolic as the American Gold Eagle 1/4 oz fluctuates directly with the price of gold. 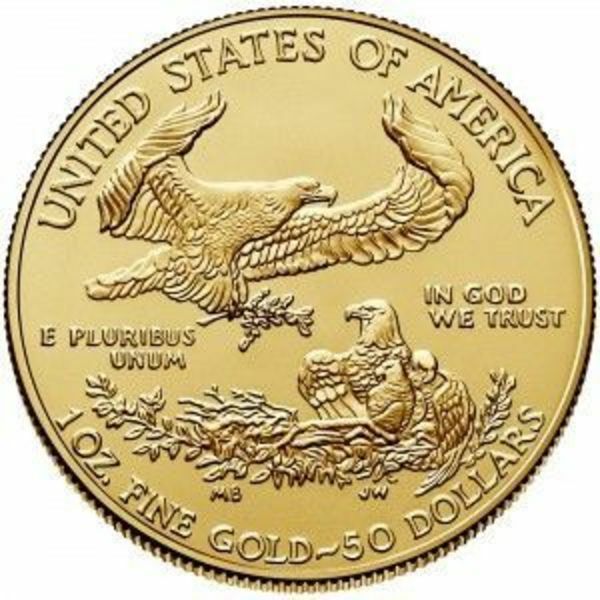 FindBullionPrices.com searches over 30 national, reputable and trusted bullion dealers to find the lowest prices on 1/4 oz Gold American Eagle and other American Gold Eagles products. The prices on our site for gold bullion and coins are updated hourly and adjusted for gold spot price. We give you the tools to compare gold prices from reputable and trusted bullion dealers. Compare 1/4 oz Gold American Eagle prices across bullion dealers to pay the lowest price. We will help you find the best prices for 1/4 oz Gold American Eagle when you're ready to buy.